Drug Tests stories at Techdirt. stories filed under: "drug tests"
Yet another Florida sheriff with a penchant for publicity is using his office (and manpower) to start some garbage viral War on Drugs. Hence, every bust made by his department -- utilizing armored vehicles and deputies that look like they shop at military surplus stores -- is splashed across the department's Facebook page. Fine, if that's what gets your blood flowing, but these scenes of busts, featuring the Sheriff front and center, contain claims that just aren't backed up by the actual paperwork. George Joseph of The Appeal has the details. Despite the sheriff’s announcement, the “raid” resulted in only five adult arrests and one juvenile arrest, according to Elaine Brown, a lead records specialist at the sheriff’s office. At best, maybe five will be going to jail. The sheriff depicts this as a raid on a "narcotics house" targeting opioids. 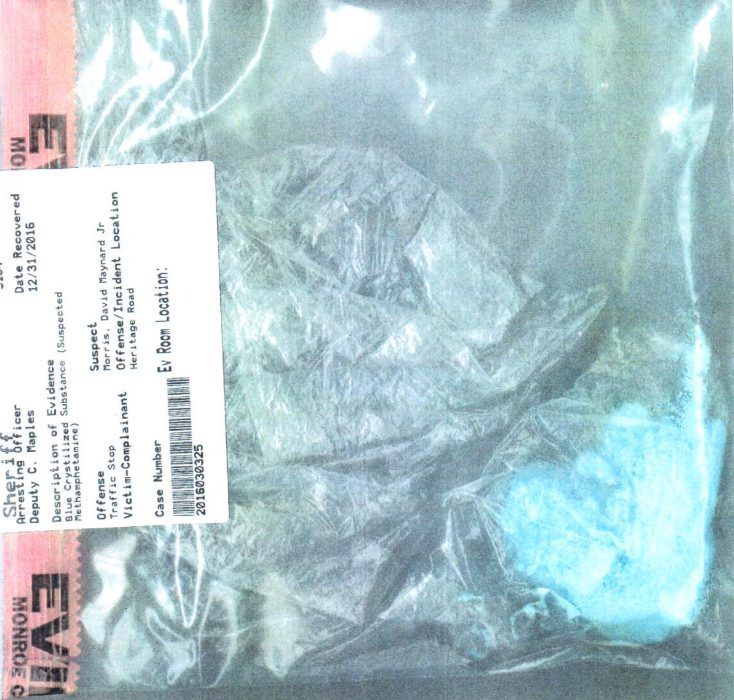 The records obtained by The Appeal show no opioids were found during the raid. Four of the five adults were arrested for marijuana possession. The fifth was charged with MDMA and cocaine possession. But chances are those drugs might vanish along with the nonexistent opioids Sheriff Daniels proudly proclaims were taken out of circulation. Note the line about the field drug tests performed. These have already been proven bogus. A sheriff's office spokesman informed The Appeal that the 1.2 grams of heroin and fentanyl seized during the raid turned out not be opioids after being lab-tested. But the field tests told Sheriff Daniels everything he wanted to hear. The reliance on cheap, terrible drug field tests is part of Sheriff Daniels' drug-raiding tradition. Arrests and seizures sound great when you're dragging a camera through someone's house for a Facebook video, but when nothing holds up in court, you're left with an empty charade using citizens as clickbait. A former deputy contacted by The Appeal points out that cheap drug tests are just another tool for abusive police work. This same former deputy also pointed out the marijuana charges were trumped up. According to reports, 35 grams of marijuana were seized during the raid, but somehow two people are being charged with possession of more than 20 grams. Cheap tests, cheap vicarious thrills, and a whole lot of hype over drug charges that will likely dissipate into minimal punishment (if anything) once the lab tests arrive. That's how America's drug warriors roll. Sheriff Daniels rolls a little harder than most, but that's because tough-on-crime sheriffs are newscaster favorites. As The Appeal points out, Daniels has leveraged these videos to appear on national news networks and say ridiculous things like he's planning to treat all drug overdoses as homicides. This report points out some very unpleasant things about our war on drugs. Law enforcement officials may claim to recognize drug addiction as a sickness, but they're still far more interested in rounding up users than dealers. Faulty field drug tests allow officials to exaggerate their successes (and misrepresent the amount of dangerous drugs in the community), when not allowing them to perform searches they otherwise wouldn't have probable cause to perform. They're part permission slip, part unpaid PR rep. And this constant failure of field drug tests to accurately identify drugs gets ignored but local media, for the most part, isn't willing to follow up on high-profile drug raids to correct the record. And it keeps working because many Americans love the image of "tough on drugs" officers kicking in doors and waving guns around. But, far too often, "tough" just means dumb, brutish, and unconstitutional. The fallout from cheap field drug tests continues. The lab that does actual testing of seized substances for the Las Vegas PD had previously expressed its doubts about the field tests' reliability, but nothing changed. Officers continued to use the tests and defendants continued to enter into plea bargains based on questionable evidence. The Las Vegas PD knew the tests were highly fallible. After all, the department had signed off on a report saying as much and handed it into the DOJ in exchange for federal grant money. But cops still used them and prosecutors still relied on them when pursuing convictions. Nothing changed until ProPublica stepped in with its own investigation into the faulty drug tests. In response to this reporting, prosecutors are finally taking a closer look at the tests officers deploy hundreds of times a year. Unfortunately, this initial move is being handled poorly. Rather than have its prosecutors reexamine any cases relying on field-tested evidence, the DA's office is dumping the workload on already-burdened public defenders. This isn't the defense attorneys' problem. While they're definitely interested in a solution, the wrongful convictions were pursued by the DA's office and its attorneys should be the ones looking for convictions that might need to be overturned. The DA's office has more resources and it is the entity that chose to continue pursuing cases against citizens based on nothing more than unreliable $2 test kits. Then there's the fact that this examination process won't end up reversing many convictions. As ProPublica points out, seized evidence is routinely destroyed after convictions are obtained. And while lab tests are run on seized substances, that only happens if everyone coordinates to run the samples through as soon as possible. This is something that almost never happens. Add to that the fact that the PD itself has never tracked the failure rate of its field drug tests, despite having access to this data. It may have signed off on a damning report, but its discoveries about the tests' fallibility changed nothing about its day-to-day business. The drug tests remained in use by the police department and were treated as unquestionable evidence by the DA's office when pushing for plea deals. About the only immediate positive result of this investigation is the higher bar prosecutors will have to clear before admitting field drug test results as evidence. The state's public defenders are planning to challenge every field drug test submission during evidentiary hearings. Of course, this assumes the judicial process will even make it this far. For many of the accused, accepting plea deals nets them shorter sentences and a slightly less-awful future than going to trial might. Defendants often accept deals just to avoid actual jail time. On the prosecution scorecard, it still counts as a win. As a bonus, additional evidence possibly pointing to the field tests' abysmal accuracy rate vanishes, allowing cops, prosecutors, and sympathetic judges to continue lying to themselves about the tests' accuracy. The War on Drugs has never really been about eradicating illegal drugs. It's been about putting up numbers: seizures, busts, indictments, convictions. A steady flow of illegal drugs into the country ensures a steady flow of tax dollars into hundreds of government agencies. Officials talk a lot about taking down cartels, but they spend more time grabbing cash from travelers and anything they can from someone who's got nothing more on them than quantities that could be generously called "personal use." Making law enforcement's Drug War "efforts" easier and a whole lot cheaper are field drug tests: notoriously unreliable chemical cocktails that are worth every cent of $2/per they pay for them. In an earlier story about these tests, two New York Times journalists detailed Amy Albritton's experience. Albritton spent three weeks in jail after a false positive from a field drug test determined that the caffeine-and-aspirin "crumb" (roughly the size of a "grain of salt" according to the lab test) was crack cocaine. For $2, Albritton lost most of her life. She served her short sentence -- one she only obtained by pleading guilty -- and now faces a future where her permanent record shows she's a convicted felon. ProPublica is also tackling the issue of cheap, unreliable field tests -- ones deemed just reliable enough to cost people their lives. The Las Vegas Police Department's own crime lab found the field tests used by officers to be so inaccurate they actually lobbied to have their use discontinued. In a 2014 report that Las Vegas police submitted to the U.S. Department of Justice under the terms of a federal grant, the lab detailed how the kits produced false positives. Legal substances sometimes create the same colors as illegal drugs. Officers conducting the tests, lab officials acknowledged, misinterpreted results. New technology was available — and clearly needed to protect against wrongful convictions. The lab's opinion didn't matter. Cops and prosecutors loved the field tests. It ensured a steady flow of busts and convictions. And while the drug lab that bats cleanup for field tests found them unreliable, these findings have never been passed on to the people who matter: judges. Not that it appears to matter. ProPublica brought its findings to the chief judge of the Las Vegas District Court only to receive a shrug in response. In other words, the police have told me they're reliable so they must be reliable. Otherwise, why would so many people plead guilty to possession? Perhaps it's because someone pleading out to avoid a longer prison sentence is engaged in arbitrage -- weighing the potential years they could be facing if their bid fails against a quicker in-and-out local jail sentence that makes the immediate future look a bit brighter than the alternative. In Las Vegas, only eight of the 4,633 drug convictions were the result of a trial. The rest were plea deals. And that's where the reliance of faulty field tests turns into the blackest of human comedies. If someone pleads guilty, the evidence that possibly isn't simply vanishes. While DOJ standards for the last 40 years have called for qualified labs to re-examine all field test results, the agency has made no effort to insist that happens or to install other protections against mistakes and the wrongful convictions that could result. To make matters worse, ProPublica found public defenders haven't done much to challenge the use of unreliable fields tests. A 2000 report covering the Las Vegas public defender's office showed some lawyers hadn't filed a motion to suppress "in over five years." While the quality of representation has gotten better over the years, follow-up reports still found a dearth of aggressive defense. Of course, like almost every other public defender's office in the US, Las Vegas's is overworked and underfunded, with each attorney saddled with 200+ active cases at any given time. Adding to the plea bargain problem (and exacerbating the troubling reliance on faulty field tests) are local laws, which are far harsher than federal drug laws. It only takes four grams of an alleged illegal substance to bring trafficking charges. At the federal level, it takes anywhere from 50-500 grams (depending on the substance) to trigger trafficking charges and their lengthier potential sentences. Even though the Las Vegas lab had expressed concern about the fallibility of field drug tests, it never did anything to determine an error rate. When concerns were raised again about these cheap but error-prone tests, the lab's main concern wasn't about innocent people being jailed, but that it did not have the capacity to perform testing on all seized substances. But judges and cops will keep believing field drug tests are reliable. And why wouldn't they? A demonstration in 2015 pretty much proved them infallible. But the test was rigged. First off, the demonstration involved an actual scientist, rather than a more error-prone officer. Second, the scientist demonstrating the reliability of the tests knew beforehand the substance he was "testing" was actually heroin… thanks to a lab test. The demonstration was presented as being tests of seized, but unknown, substances. As ProPublica points out, no false positives resulted because there was no possible way for the demonstrator to do so. Meanwhile, the Las Vegas Police has upped the ante on a broken testing system, adding heroin to the list of substances it supposedly can detect using a $2 test. And nearly every crumb of undetermined origin will just add another case to overloaded public defenders. But the important thing is that it will add another drug bust -- and quite possibly another successful prosecution -- to Las Vegas drug warriors' stats. And that's all that really matters. A lab technician for the State Police allegedly faked results in a drug case, and has drawn into question 7,827 criminal cases on which he worked, according to state officials. Kamalkant Shah worked as a laboratory technician for the State Police laboratory in Little Falls and was found to have "dry labbed" suspected marijuana, according to a Feb. 29 memo to Public Defender Joseph Krakora from Deputy Public Defender Judy Fallon. Shah's essentially accused of making up data. "Basically, he was observed writing 'test results' for suspected marijuana that was never tested," Fallon said in the memo. But odds are that if Shah got caught, it's something that happened eventually, rather than immediately. Bad habits are easy to develop and tend to spiral out of control until the inevitable happens. There's no way to tell if this was a one-off. Conversely, there's no way to positively state this didn't happen all the time. Hence the thousands of criminal cases now being viewed as questionable. Now comes the hard part of setting things right -- which is actually an impossibility, as the public defender's memo points out. Mr. Shah was employed with the lab from 2005 to 2015; obviously all his “results” have been called into question. In Passaic County alone, the universe of cases possibly implicated in this conduct is 2,100. The Prosecutor’s Office is still in the process of identifying them. Their plan is to submit for retesting specimens from open cases. The larger, and unanswered, question is how this impacts already resolved cases, especially those where the specimens may have been destroyed. Closed cases with no surviving evidence are still questionable, but there's no way to get answers. No one's going to start reversing convictions en masse just because the results might have been faked. The hundreds or thousands of cases where the tested samples may still be available aren't suddenly going to become a priority for the State Police either. It's more than just a question of will. It's also a question of resources. And when resources are scarce, possibly falsely imprisoned citizens will remain imprisoned. In a case we discussed last year, a drug lab chemist was discovered to have been faking test results for years, resulting in nearly 40,000 criminal prosecutions being called into question. An examination by David Colarusso, a public defender turned data scientist, pointed to several issues that would put thousands of manhours between the suspect test results and any exonerations. It's not just that results were deliberately faked, but that the paperwork associated with them could have any number of flaws. This gave us a rough list of clients on The List, and we used these names to create a list of their co-defendants. We then checked The List for the co-defendant names. Unfortunately, a lot of these were missing. If we assumed the same rate of missing names across all cases, it seemed The List was missing somewhere between 0 and 9,600 names. Wait, what? That’s right, thousands of potentially missing names. The uncertainty came from the fact that we had to match names. The List did not come with dates of birth, addresses, or Social Security Numbers—just names. So occasionally, we could not find a name we were looking for because the Commonwealth and CPCS disagreed on the spelling of a name or someone made a transcription error. This particular effort has its own roadblocks. For one, the reopening of cases has been tossed to the prosecutor's office. While this is definitely the department that should handle it -- what with the misconduct occurring under their supervision and the office being better staffed and funded than their defense counterparts -- there's very little in it to motivate prosecutors to move quickly. No one likes having to erase wins from the board. On top of that, this will require actual effort -- and lots of it. Kevin Walker, an assistant public defender, issued a statement on behalf of the Public Defender's Office Wednesday saying the office does not have "a practical mechanism for identifying all the cases involving" Shah. "The prosecuting attorneys are going to have to do that, by reviewing the records from the Little Falls lab and cross-referencing them with their files," he said. "We assume the prosecutors will do that promptly. Pending that review, we are going to keep all our options on the table, including filing motions to vacate convictions in appropriate cases." The public defenders are playing their cards right. Filing motions to vacate convictions will motivate prosecutors who want to keep wins on the board to track down the tests and verify their accuracy. But that still does nothing for those whose supposedly culpatory test results have already been destroyed. And there will be many who simply fall through the cracks thanks to clerical errors, incomplete documentation or just because tangling with bureaucratic filing systems tends to wear people down quickly. Prosecutors place a lot of faith in forensic lab results. So does almost every law enforcement agency, including the FBI. But over the years, investigations have found some forensic testing to be mostly junk science. In others, the science holds up but the test results are only as solid as the people performing them. Even the best scientists are susceptible to confirmation bias and the most knowledgeable expert witnesses can unconsciously act on a desire to please, rather than offer unbiased testimony. Some mistakes are human error. Some are more malicious. When human lives and freedom are at stake, standards should never be allowed to slip. This means increasing the level of personal accountability -- by hiring the right people and by deterring future misconduct with harsh penalties for those who play fast and loose with criminal evidence. The latter hasn't happened here, which does not bode well for future criminal defendants. Shah has not been charged with any crime, and is believed to have retired.